In today’s world of nearly endless choice, both in terms of products and different retailers, it can seem almost impossible actually to make a decision. Thanks to all the recent changes with regard to CBD legalization, you can now enjoy the paralyzing fear of indecision when you try to choose your own CBD. Wouldn’t it be nice if some of the different choices actually helped and made it easier to choose? Thankfully, that is precisely what CBD Life UK has done; with a helpful “Why Choose Us” section and a great deal of information, it becomes far easier actually to make an informed choice about your CBD purchase. Who Are CBD Life UK? CBD Life UK is a UK-based CBD retailer offering a variety of different CBD products to both UK and European markets. As with all European CBD sellers, CBD Life UK is a member of the Cannabis Trades Association and proudly flaunt their membership, as well as providing a wealth of information about their membership and what it means. At its core, membership in the CTA means that, not only are the company’s CBD products verifiable and trustworthy, but also that they only utilize 100% European hemp, suggesting that their products directly contribute to the GDP of the European Union. This sheer panoply of information goes even further than just their CTA membership, however, as they also provide a great deal of info about their hemp itself. CBD Life UK prides themselves on making their CBD extract only from Cannabis Sativa flower extract. This literally just means that they use cannabis buds; this is incredibly good to know, as this means that they do not harvest their CBD from the leaves, stems and plant structure of the hemp plant, instead of getting all of their CBD from the bud itself. This means that the CBD they end up with will not only be of higher quality, but it also is better for the environment and the farmers, as the cannabis plants themselves can then be utilized in industrial production or the textile industry. For some people, this actually might be a problem, as by harvesting it from the cannabis bud, there is the inherent risk of ending up with THC in their product. Thankfully, CBD Life UK has that covered as well, assuring you that they have a “unique method” of THC separation that ensures complete removal of THC. It is a bit strange that they don’t seem to want actually to provide this secret method, but at least they do give some assurances! Of course, if they did have levels of THC above 0.5%, then they wouldn’t be allowed to sell it in the UK anyway. Alongside all of this helpful information, CBD Life UK also offers a blog section that contains a myriad of different lifestyle-oriented articles, mostly about the benefits of hemp, cannabis, and CBD, as well as a few tips and tricks for how to make your own products using their CBD oils. 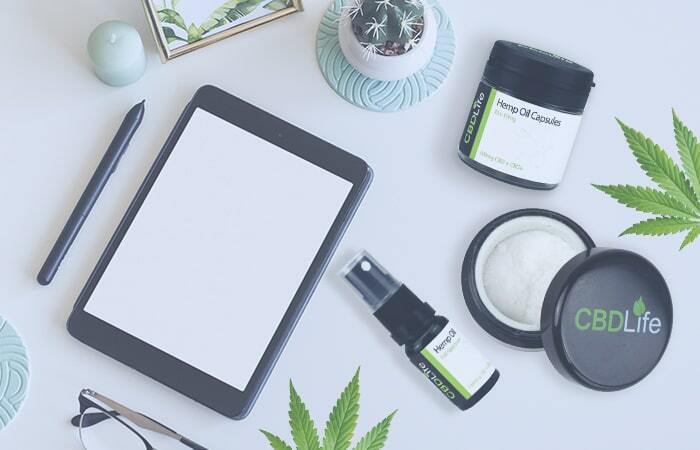 Alongside this, they offer a wealth of information (far more than the information about their CBD oil products themselves, in fact) for how to sell their products wholesale. They have a big section for their sponsored athletes, as well as ways to get their products on discount and sell it yourself. However, before you can even consider any of that, you need to know whether or not their CBD oil is any good, so let’s take a look at a few of their products and evaluate whether they are worth the cost. CBD Life UK offers a surprisingly broad and varied range of different CBD products, but they actually provide only three different types of CBD oil. These prices are surprisingly low for what they are offering; 1000mg of CBD for only about £50 is a pretty great deal, especially considering the quality of their hemp. With the 1000mg version, each spray equals one 12.5mg dose of CBD, allowing you to have a quick and easy, yet high quantity, method of imbibing CBD. Instead of being a regular CBD oil, which typically consists of CBD oil applied with a dropper, CBD Life UK’s Hemp Oil Spray is precisely that – a spray. It is designed to be sprayed under your tongue for easy application, offering a quick and convenient way to take your CBD without having to go through the uncomfortable process of carefully dropping a globule of oil into your mouth. You can select to either have Peppermint, Lemon, or Natural Hemp flavor, the choice of which is governed by what kind of terpenes they include. However, these terpenes are only derived from the hemp plants themselves, meaning that no artificial terpenes are being used. The Aqua Drop CBD Oil is similar to their oil spray; only it is able to be dissolved in water, as well as being administered through a dropper. The dosage with this product is a great deal less, with each drop being equivalent to 1mg of CBD, so they recommend having at least five drops per serving. Its list of ingredients is far longer and contains a variety of terpenes, as well as Sodium Bicarbonate and a myriad of different chemicals to help make the oil water soluble. This is an excellent choice for those who want to imbibe their CBD through water and avoid the oily sensation of spraying it under your tongue. Their Aqua Drops cost £39.95 and contain 400mg per 10ml bottle. What about CBD Life UK’s other products? Do they sell anything other than just CBD oil? If you are the type of person who just doesn’t enjoy taking CBD oil in any form and would prefer to utilize capsules, CBD Life UK has you covered. They offer a Hemp Oil Capsule that contains the same ingredients as their Hemp Oil Spray, only deliverable in either 10 mg or 25 mg increments. The 10mg version costs £24.95, whereas the 25mg costs £49.95. Besides the additional sugar required to create the capsule, these are fundamentally the same thing as their regular Oil Sprays, so only take this if you absolutely hate taking your CBD oil in a liquid form. For those that prefer to apply their CBD oil topically, CBD Life UK also offers a Hemp Balm, containing 100mg of CBD per 30ml, costing £19.95. This not only contains the same ingredients of their oil spray, but also includes a few flavoring components, such as Almond Oil, Castor Oil, and Beeswax, so as to make it applicable to the skin. The reviews for this product are extremely favorable, focusing mainly on its silky texture and the moisturizing effect it has on the skin. However, by far the most significant range of products available on CBD Life UK’s website is not oral or topical applications, but vape liquids. Vaping has become an incredibly popular way of imbibing CBD these days, as it offers all the flavor and enjoyment of smoking marijuana, only without the risk of getting high from THC or endangering anyone around you. CBD Life UK’s CBD vape liquids have all been dewaxed, allowing for them to be safely imbibed through vaping without any of the risks associated from improper production or damage to your lungs. This is a huge range of different methods of imbibing, allowing you to choose exactly what you want for your vape experience. However, the one big caveat for CBD Life UK’s Vape range is the inclusion of Propylene Glycol in all their vape products. This is a thinning agent that is designed to thin down the CBD oil and thus make it less viscous, making it easier for it to be vaporized and imbibed. There are some significant health concerns surrounding Propylene Glycol, including some studies that have discovered elements of toxicity, especially among children and young adults. Many manufacturers have shifted away from Propylene Glycol and moved to other, risk-free thinning agents, but it would appear that CBD Life UK has not done so. CBD Life UK is a retailer that takes great pride in being both from the UK and being a part of the European Union. They also demonstrate pride in being as informative as possible with their potential customers. They have a wealth of information, both about their practices and about their products, seemingly offering as much as possible so as to make sure you are making informed purchases. Their range of different CBD products is pretty decent, offering a nice mix of both CBD oils, capsules, and topical applications, but their real specialty is in their vape products. Whether it is vape pens, e-liquids or CBD dabs, CBD Life UK is well stocked and likely to have whatever you need; unfortunately, they also contain a thinning agent that many consider to be a significant health risk. What’s more, CBD Life UK doesn’t acknowledge the potential health risks present in their e-liquids, making it seem like they are willfully ignoring the potential ramifications on their user’s health. However, the fact remains that their products are well reviewed and seem to be legitimate – the best way to find out whether they are a worthwhile purchase is to try it for yourself. Consider buying some of their Hemp Oil Spray and see if the quality of their CBD is all it lives up to be.